"Back to the Carolina You Love"
As discussed in the History section, Little Wonder recorded shortened versions of the tunes. -Click sheet music above to hear both the shortened and regular versions and follow along with the sheet music. You can listen to hour-long radio shows where I was invited as the guest of the show's host, Michael Cumella, by clicking the links below.- (These files are very large and therefore take a long time to download -- please just be patient. )- The shows feature Little Wonder records and a discussion of their history and were originally broadcast on WFMU's "Antique Phonograph Music Program with MAC." -Viewing the playlist requires Adobe Acrobat Reader® (click here for free download). - Special thanks to Justin DiMinni for technical assistance. I've also recorded a selection of these records -- just click the links below to listen. -Unfortunately, the transfers vary quite widely in quality. - If you have better ones of these or others just contact me and I'll gladly post them and credit you. -And if you'd like to listen to one that's not listed here, contact me and I'll see what I can do. 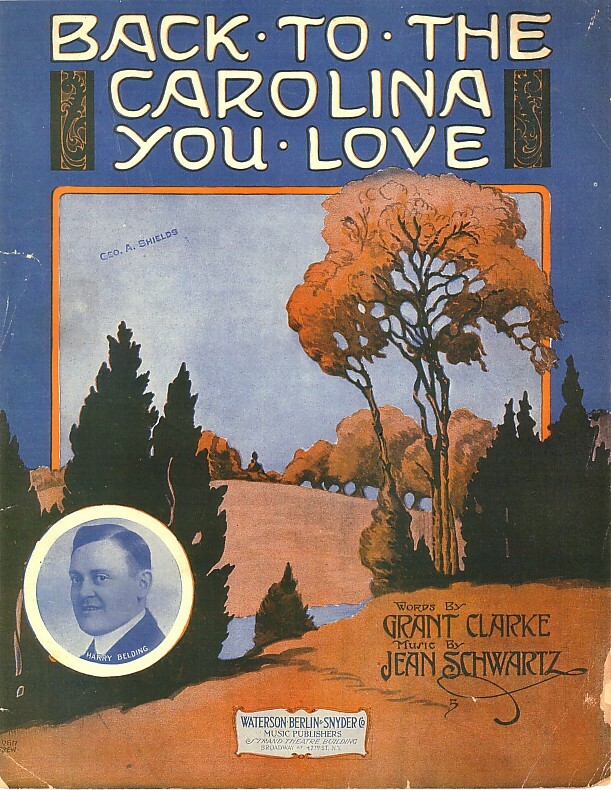 #20 Back To The Carolina You Love Tenor Solo, perhaps the most famous of all Little Wonder records because it is sung by Al Jolson.- According to Brian Rust, this was recorded in New York City on September 19, 1914, and on the same day Jolson recorded the song for Columbia (A-1621 "Back To The Carolina You Love"/"Revival Day"). 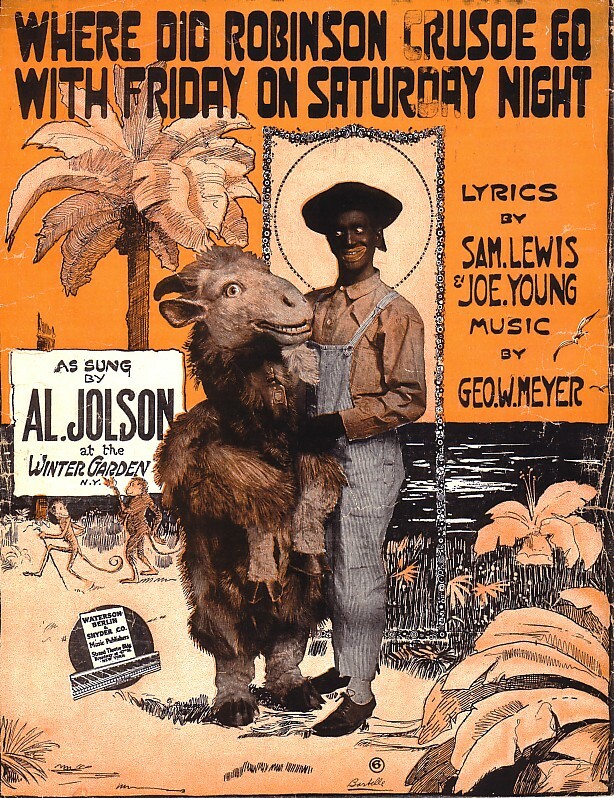 -This was a few years before Jolson became famous and so he didn't demand a performer credit on the label. 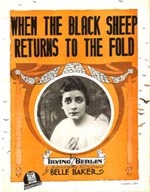 -The sheet music for this one is at left and is also on the sheet music page. #297 Charge of the Light Brigade (March) Band. -This tune was composed by E. T. Paull (see other tunes below). #319 Yaaka Hula Hickey Dula Tenor Duet (transfer courtesy of Malcolm Rockwell). 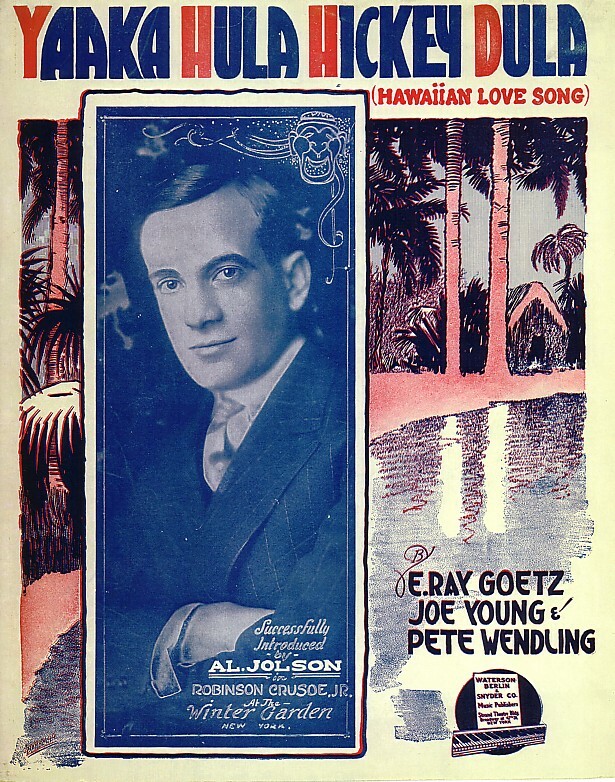 -The sheet music for this one is at left and is also on the sheet music page. #357 Are You From Dixie? Tenor Duet. 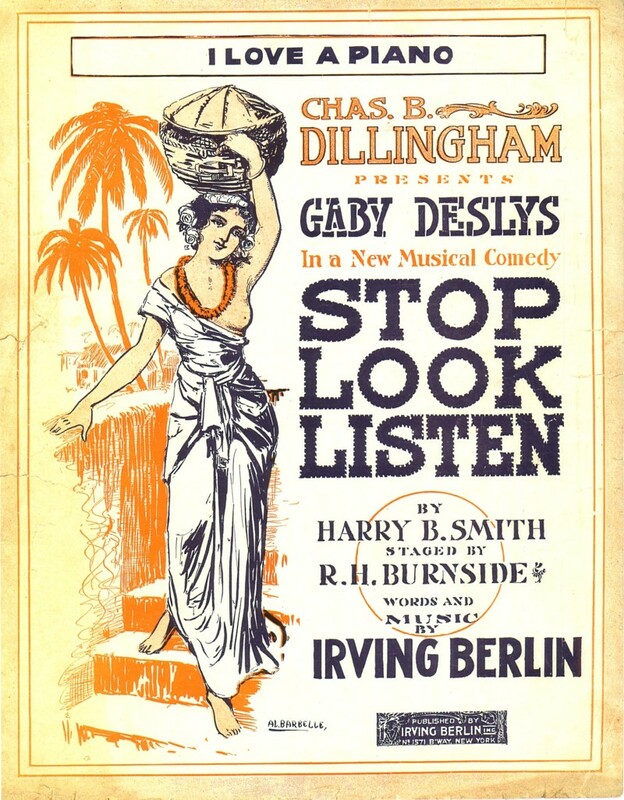 -The sheet music for this one is at left and is also on the sheet music page. 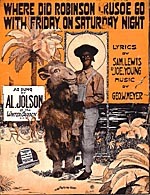 #369 Where Did Robinson Crusoe Go With Friday on Saturday Night Tenor Solo.- The sheet music for this one is at left and is also on the sheet music page. #403 I Love a Piano Vocal Duet.- The sheet music for this one is at left and is also on the sheet music page. 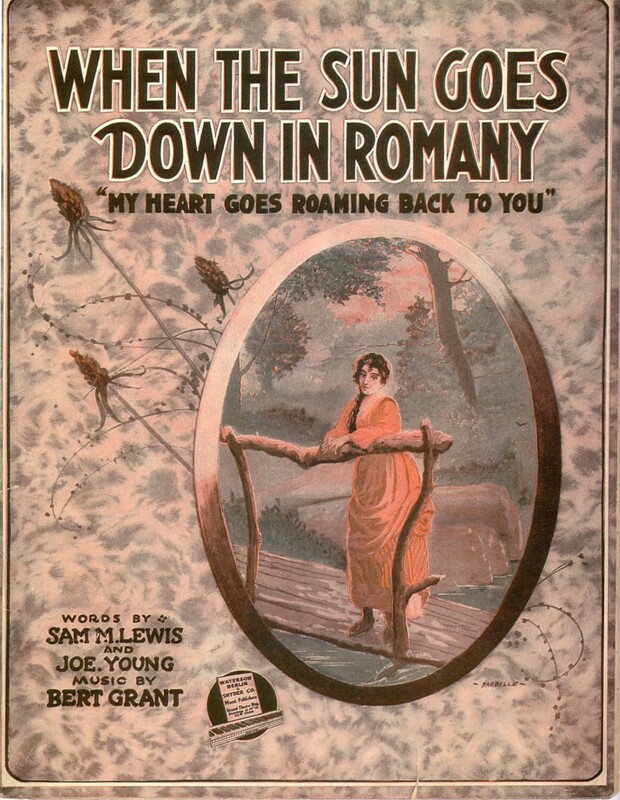 #406 When The Sun Goes Down in Romany Tenor Solo.- The sheet music for this one is at left and is also on the sheet music page. #419 When the Black Sheep Comes Home Tenor Solo.- The sheet music for this one is at left and is also on the sheet music page. 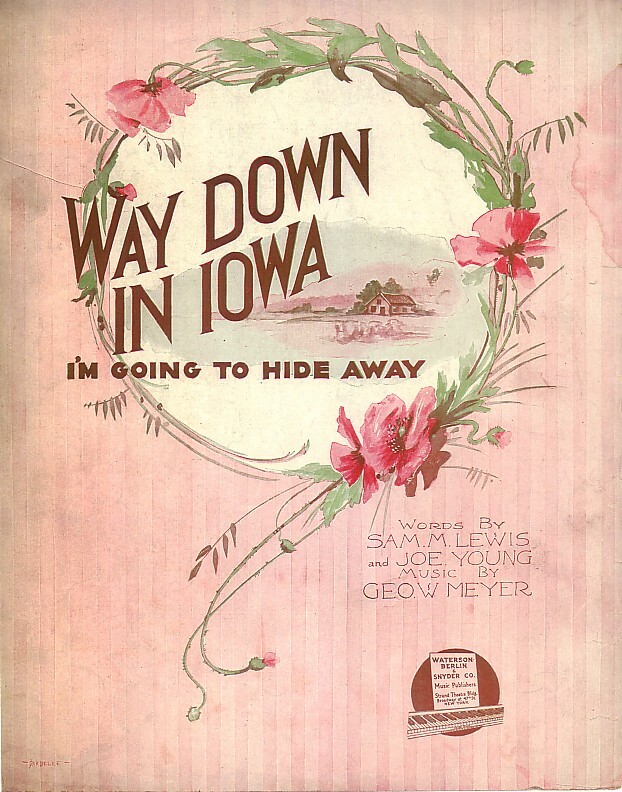 #444 Way Down in Iowa, I'm Going to Hide Away Vocal Duet.- The sheet music for this one is at left and is also on the sheet music page. #540 King of the Bungaloos Baritone Solo. - Sung by Gene Greene. #541 From Here to Shanghai Baritone Solo. - Sung by Gene Greene. #780 Old Grey Mare Baritone & Tenor.- A patriotic song sung to the tune of "Old Grey Mare." #851 (take 1) Everybody's Crazy 'Bout the Doggone Blues (Fox-trot - Dance Music).- Played by Wilbur C. Sweatman's Original Jazz Band. #851 (take 2) Everybody's Crazy 'Bout the Doggone Blues (Fox-trot - Dance Music).- Played by Wilbur C. Sweatman's Original Jazz Band. #852 Regretful Blues (Fox-trot - Dance Music). - Played by Wilbur C. Sweatman's Original Jazz Band. #884 How'd You Like to be My Daddy? (Character Duet). - Performed by the Farber Sisters. 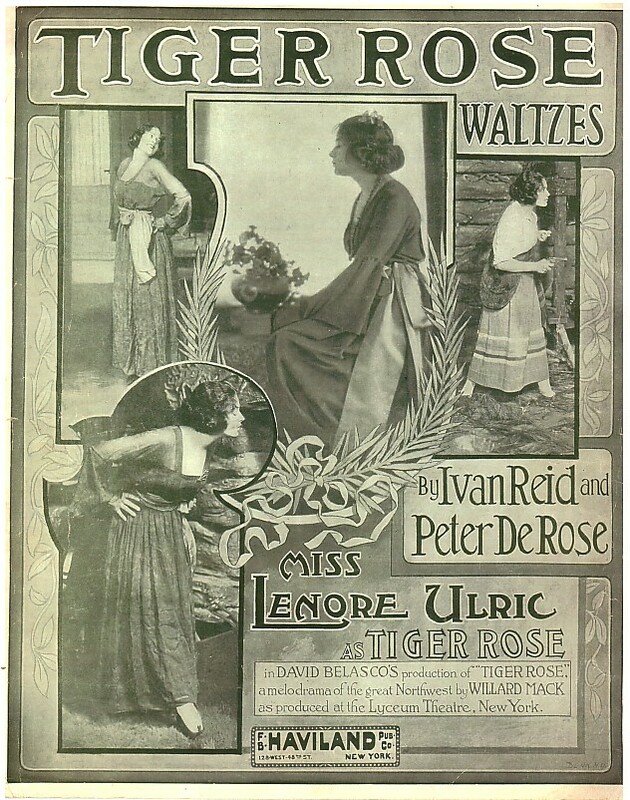 #926 Tiger Rose (Waltz) Orchestra. 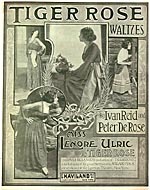 -The sheet music for this one is at left and is also on the sheet music page. #996 Dallas Blues - Medley (Fox-trot - Dance Music). - Played by Wilbur C. Sweatman's Original Jazz Band. #1039 Has Anybody Seen My Corinne? (Fox-trot) Jazz Band. - Played by Wilbur C. Sweatman's Original Jazz Band. #1092 (take 1) Lonesome Road (Dance Music). - Played by Wilbur C. Sweatman's Original Jazz Band. #1092 (take 2) Lonesome Road (Dance Music). - Played by Wilbur C. Sweatman's Original Jazz Band. #1116 The Alcoholic Blues Tenor Solo. - Sung by Billy Murray. #1168 Take Your Girlie to the Movies Tenor Solo. -Sung by Billy Murray. #1192 Kansas City Blues Jazz Band. - Played by Wilbur C. Sweatman's Original Jazz Band. #1353 The Love Nest from "Mary" Tenor Solo.- Sung by Frank Crumit. #1641 Swanee Bluebird (Fox-trot) Orchestra.- Played by the California Ramblers. #1647 Sweet Indiana Home (Fox-trot) Orchestra.- Played by the California Ramblers.